Get back to restful nights and refreshed mornings with the Mt. Dana Firm mattress. It's ideal for back and stomach sleepers, who prefer a mattress that doesn't “give” too much yet still pampers with cradling comfort. Five different levels of high-density foam—including a layer of gel memory foam for temperature regulation—work in concert to provide the ideal balance of comfort and support. Rest assured, 720 power packed 15-gauge wrapped steel coils offer reinforced structural support where you need it most, while 13-gauge wrapped coils provide edge support for a larger sleep surface and supportive sitting surface. M80x Foundation -- It's a lot about the base. 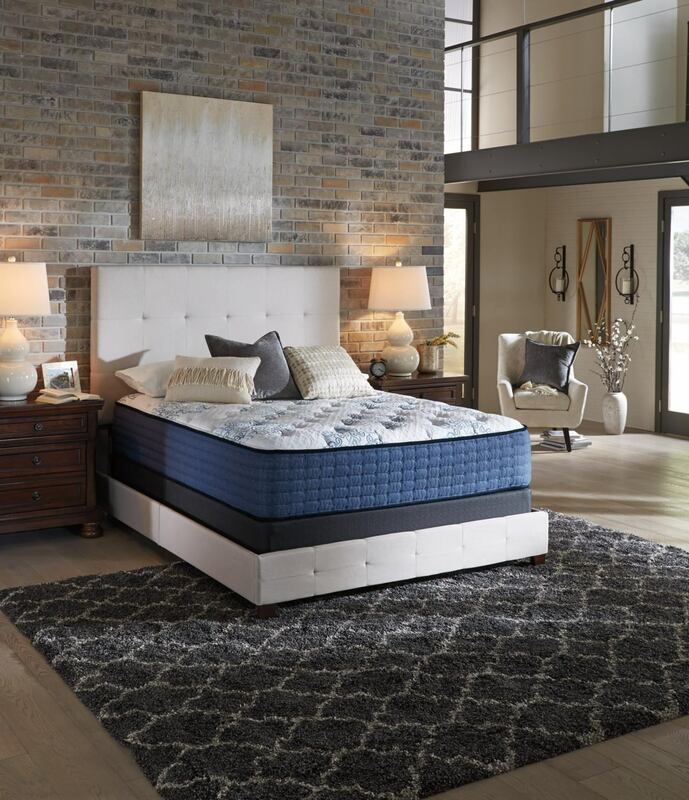 The 1-2 combination of a supportive mattress and well-built foundation is just what you need for restful sleep. With solid wood construction, a diagonal bar and corner supports, there's extra support and durability built into this foundation. Smooth nonskid surface holds every style of mattress in place, including hybrid, memory foam and innerspring mattresses.